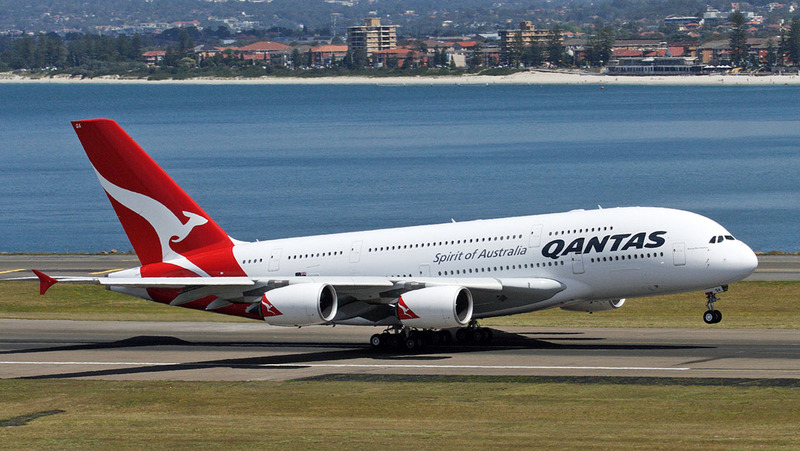 Qantas says it has cancelled its outstanding order for eight A380s after discussions with Airbus. The eight aircraft were part of an order for 20 A380s made in 2006. 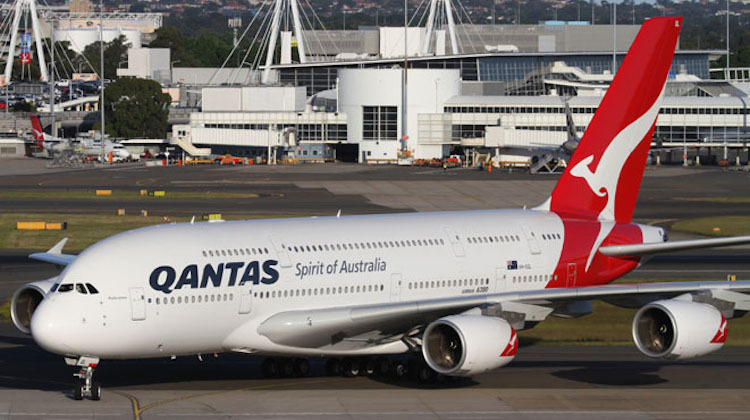 “Following discussions with Airbus, Qantas has now formalised its decision not to take eight additional A380s that were ordered in 2006,” Qantas said in a statement on Thursday. The change was expected to be reflected in the Airbus Orders and Deliveries summary for January 2019. There have been 321 total orders for the A380 since it was launched in the early 2000s, according to the Airbus website. At December 31 2019, 234 of the type had been delivered, leaving the backlog standing at 87 aircraft. The Australian flag carrier was the third airline to take delivery of the world’s largest passenger aircraft behind launch customer Singapore Airlines (SIA) and Emirates Airline in October 2007 and July 2008, respectively. Qantas’s first A380, VH-OQA Nancy-Bird Walton arrived in Sydney on September 21 2008. Eleven more followed in the next three and a bit years, with the 12th A380, VH-OQL Phyllis Arnott, delivered in December 2011. The first long-haul service with Nancy-Bird Walton was Melbourne-Los Angeles which kicked off on October 20 2008 and the network gradually expanded to include Sydney-Los Angeles, Sydney-Singapore-London and Melbourne-Singapore-London. The A380 has also allowed Qantas to establish new nonstop routes such as Sydney-Dallas/Fort Worth, replacing the Boeing 747-400ER which previously operated a Sydney-Dallas/Fort Worth-Brisbane-Sydney rotation. For a time it was the longest nonstop airline flight in commercial aviation. VIDEO: A promotional video explaining the use of the Airbus A380 between Sydney and Dallas/Fort Worth, as shown on Qantas’s YouTube channel. And Qantas has also in recent times deployed the A380 to Hong Kong, adding extra capacity during peak travel periods such as Chinese New Year and school holidays. 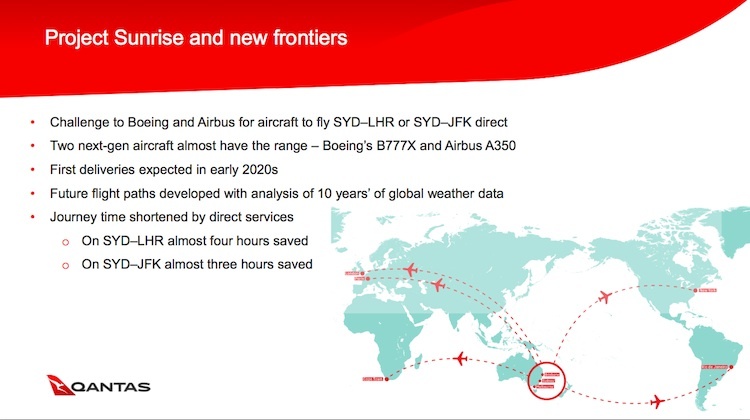 Initial plans had Qantas potentially operating up to 30 A380s. However, the firm order book eventually stood at 20 aircraft. While those eight remaining A380s remained listed as “on order” for many years, the thinking at Qantas’s Mascot headquarters has been that they would never be taken. Although the order for eight new aircraft has been now formally cancelled, Qantas is continuing to invest in the A380 fleet. Now in its second decade flying in Qantas colours, the airline is conducting what it describes as a multi-million dollar upgrade of the aircraft’s interiors. The mid-life refurbishment program, which is being managed by Airbus, includes replacing the SkyBed II business class and premium economy seats with a similar product to what appears on Qantas’ Boeing 787-9s and Airbus A330s, a new upstairs lounge area and an enhancement of its first class offering. The work was due to get underway by the middle of calendar 2019 and be completed before the end of 2020. “Qantas remains committed to a major upgrade of its existing A380s, which begins in mid-calendar 2019 and will see us operate the aircraft well into the future,” Qantas said. As Qantas usually operates aircraft for about 20 years, a decision on what aircraft will eventually replace the A380 in the fleet will not have to be made for quite some time. The airline’s evaluation of how many A380s it needs in the future is likely to be impacted by the prospect of being able to operate nonstop flights from Australia’s east coast to London Heathrow and New York with either the A350 or Boeing 777X that is currently being considered under Project Sunrise. Meanwhile, Qantas said its Boeing 747 fleet would be reduced to nine by the end of February 2019 with one aircraft to be retired by the end of the month. The last 747 was scheduled to be withdrawn by the end of 2020, in time for the airline’s centenary celebrations. In terms of outstanding orders, Qantas has six 787-9s due for delivery from the end of 2019 while its low-cost carrier arm Jetstar was expected to receive the first of 18 A321LRs (also known as the A321neoLR) from mid-2020. The removal of Qantas’s eight A380s from the Airbus order book followed United Kingdom-based Virgin Atlantic formally cancelling its order for six of the type in March 2018. Airbus also removed an order for 10 A380s that had previously been allocated to an undisclosed customer in its December summary. There could be further changes to the order book after Airbus confirmed it had held talks with Emirates regarding the airline’s existing orders for A380 aircraft. “Airbus SE confirms it is in discussions with Emirates Airline in relation to its A380 contract,” Airbus said in a statement after it was reported Emirates was considering changing its recent Memorandum of Understanding (MoU) for 36 A380s that was signed in January 2018 to the Airbus’s A350. Emirates is the largest of the A380’s 14 operators by some margin, with 109 in the fleet and a further 53 on order at December 31, according to the Airbus orders and deliveries figures. The next largest operator is Singapore Airlines (SIA), which has 19 A380s, followed by Lufthansa with 14. British Airways and Qantas are next with 12 each. The A380, which is world’s largest passenger aircraft, has struggled for sales in recent times, with carriers preferring twin-engine variants to serve their long-haul routes. In response to the weakness in the very large passenger aircraft market, Airbus has slowed the production rate of the A380 from 15 aircraft delivered in 2017 to 12 aircraft in 2018. The company has said previously it expected to deliver eight A380s in 2019. 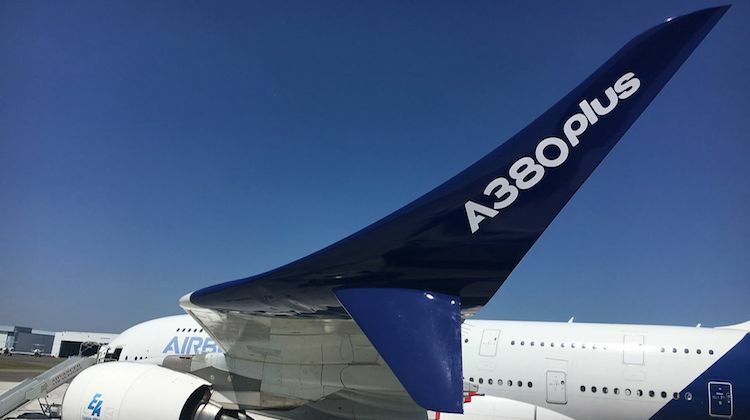 Airbus has also sought to make the A380 more efficient and improve the aircraft’s operating economics through features such as new fuel saving winglets. Packaged together and called A380plus, the initiatives included extending maintenance intervals, aerodynamic changes to the wing and previously announced “cabin enablers” to add more seats. Not a surprise as stated in the article but IMO such as shame as the A380 as a passenger was always the best aircraft and will be even better with the cabin refresh. Was to be expected, however I expected the orders to be replaced with A350s, A330neos or even A320Neos. the value of used A380s keeps dropping. Wonder how much Airbus had to offer Hifly to take the 10yo ex Singapore Airlines A380 ? Suggest maybe that airbus covered a lot of maintenance costs. If they didn’t then who would want to take on a used A380, when many airlines (Emirates & Qantas) are dumping their orders for A380s. Emirates seem to be switching to A350s which seem much cheaper to operate. apparently Rolls Royce is not coming to the party in regards to engine efficiencies for Emirates (as promised ) to continue with its order on the A380’s. Four engine planes cannot compete against modern fuel efficient, lighter, cheaper to service, point to point 2 engine planes. All the airlines now have their own real data.!! The A380 story is disappointing as air travel keeps growing but airports are adding capacity via runways and terminals (HKG and LHR etc) rather than using the bigger planes. Busy routes with limited slots should mean the A380 is successful, but at HKG and in America they havent seen the need. Could this be part of a deal for an order for A350 ULR in leu of completing the order of 20? I agree with Dave, this is disappointing (if unsurprising), the A380 is a superb aircraft to fly in and, eventually, there will be a time where airports are simply going to need bigger aircraft because of lack of capacity. It sounds like this is non-news from the Airbus perspective, but the Emirates backflip is, and is the end of the program. @Dave: The case for the A380 seemed so strong. As you mentioned, Hong Kong and London are adding runways, most US airports have ample capacity, Dubai is building another airport, as is Saigon and Beijing. The A380 was probably 30 years to early, and a few tonnes too heavy. What do you mean 2 engines too many? The A380 engine count per seat is the same as a 787-9. The problem is that the operating costs per seat on the A380 are far higher than the 787 and it’s nothing to do with the engine count as you can use four engines to run two 787 flights and still do it cheaper than a single A380. The main reason for that is that the A380 is a few tonnes too heavy as already mentioned. Look at the basic figures: B787-9: MTOW is 254T with 280 Pax = 0.87T per passenger. A380 MTOW 575T with 560 PAX = 1.02T per passenger. I know those figures are rough but there’s no getting around that the A380 is carrying a ridiculous amount of excess weight when in reality it should be carrying less weight per passenger as it should have the economies of scale. One would think to avoid cancellation charges on the 380, Qantas would need to commit to some more Airbuses of sone description? Not a single A380 delivered to a North American airline. That must have hurt. The SYD-LAX extra services stopped flying in January so there is an A380 available for normal maintenance. The B787-9 takes over from the A380 on 31 March 2019 SYD-HNG so there would an A380 available for the cabin upgrade then (unless it is required for further repaints). I assume that the cabin upgrade is being managed by Airbus because Airbus holds the certification for the removal of the floor bins in the upper cabin. Are these bins a structural factor which require a narrower structural members to replace them? In the early days, when the French and German cable designs did not match, it was reported that these floor structures were cable ducts which did not appear to be correct as what happens at door ways. (If the cables had to go under the floor at the door ways you would suspect it would be easier to have the cables beneath the floor all the way.) Do major cables have to be moved? I have not seen where the cabin upgrade is to be carried out. Lets hope they choose the A350 after this order cancellation. The quietest interior I have flown in. It’s interesting to use passenger : aircraft mass ratios– however I would have thought that cost of Expendables like fuel counted for more than the raw cost of mass of the airframe? Paul, the A380 does use more fuel per seat than other planes. Most of that is due to the extra weight. Other reasons for it’s higher per seat fuel use are that the aerodynamics are not as good as other planes, the engines are a generation or two behind and the layout & certification of the body doesn’t allow seats to be crammed in everywhere. One thing about the A380’s aerodynamics is the design expectation that it fit within the 80x80m space at existing airports meant the wing span was restricted and as a result, the aspect ratio is very low. The other is that the wing was designed to also hold a heavier -900 model and freight model so it’s not optimsed for the -800. Another thing is that the under floor cargo volume of the A380 isn’t very good. It actually has a fair bit less than the 773ER – 36LD3 containers vs 44 on the 773ER. I’ve also heard on the grapevine that the A380 is not as reliable as other workhorses. @Paul Shuback, they go hand in hand. The heavier the mass the more fuel will be used to draw the heavier mass through the air. This cancellation is no surprise at all, and a good decision by QF, for once ! Have had five long haul flights in the A 380 with different airlines, all ok, but much prefer the B777 or daresay it, the A350(3 flights on that).